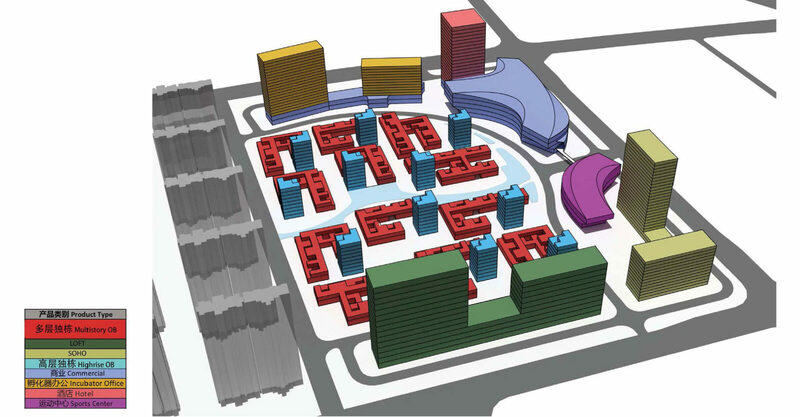 Sias Mixed-Use Master Planning from Archimorphic on Vimeo. 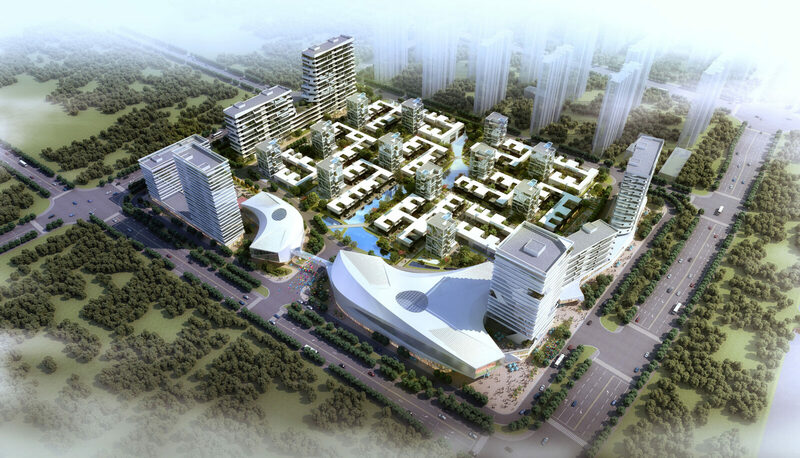 The repetitious use of similar tower typologies is becoming a clear trend in mixed-use master planning projects in China. Typically, driven by commercial profit, the exterior qualities of towers become a by-product of numbers and economic equations. Our design, on the other hand, focuses on qualities emerging from aesthetic factors, surrounding environment, and cultural references. 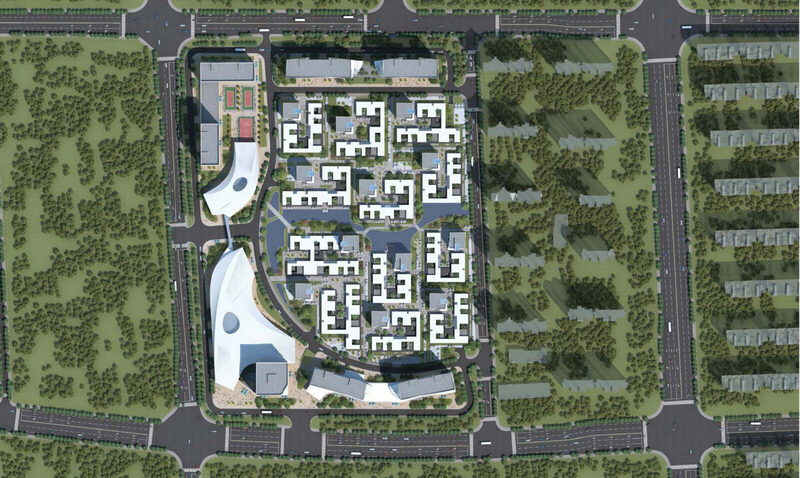 For the Sias master plan, we developed multiple building typologies each responding intimately to their respective programs and ability to foster social interaction. 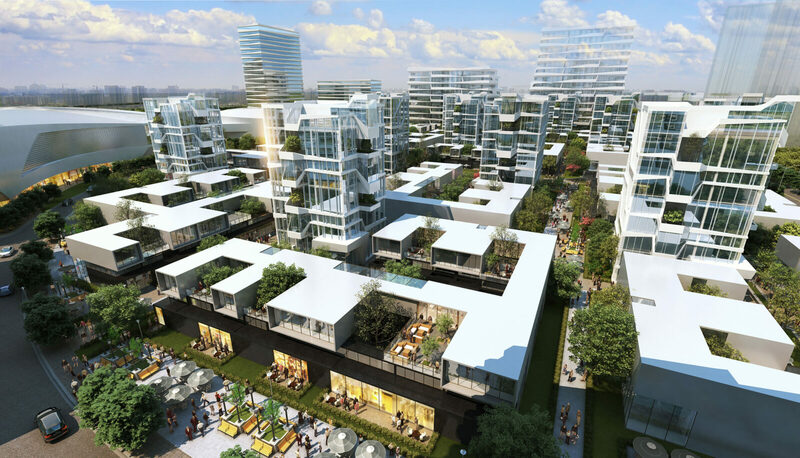 Rectangular, bar-shaped towers form the community’s outer perimeter on three sides and acts as an interface between the new community and the existing urban fabric. 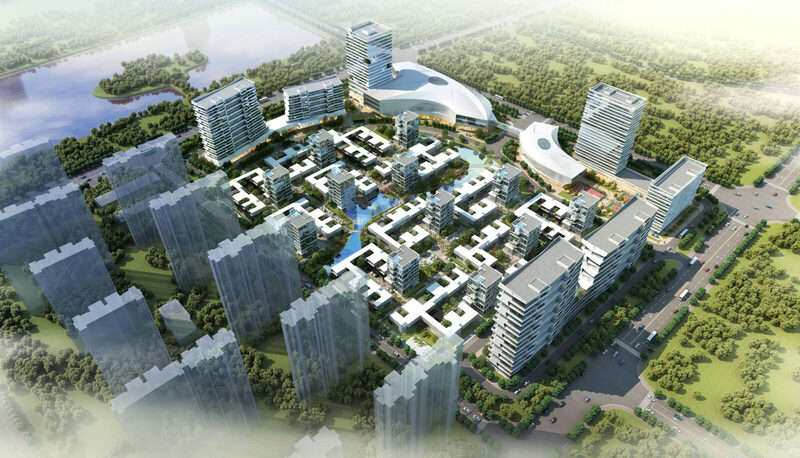 At the center of the community, low-density courtyard offices occupy the landscape. The individual courtyard offices link together to form larger, communal courtyards. A central water feature enhances the communal courtyard spaces and provides a physical connection back to the larger community plan. At the west edge, a commercial center and sports arena shape a prominent corner of the community. The geometrical feature of “Volume-Surface” makes it possible to contain large spaces like commercial, cinema, and sports room. Rising from the commercial center, a hotel extends the dynamic geometry vertically with multiple interjections of green space across the façade. 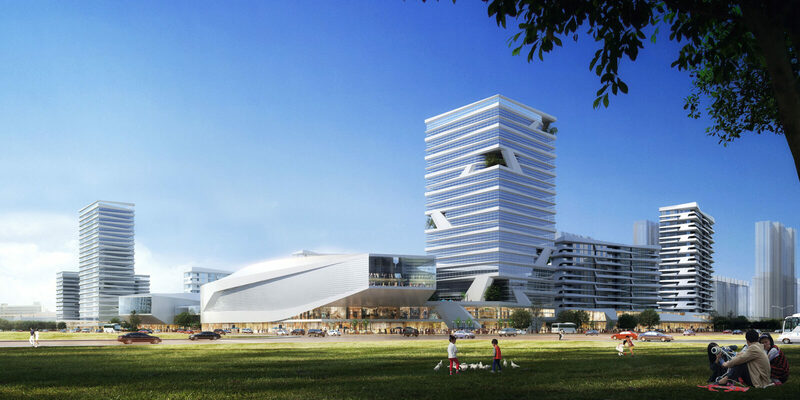 The hotel and commercial massing combine to create an iconic corner for a prominent intersection.